We want to make sure everyone knows about the resources from our July conference in Nashville. The conference summary report is also now available on our website along with some of the presentation slides. Planning is already underway for our 2019 conference. Please make sure to keep the day before and the day after open for some special group activities we are working on, and keep checking our website for updates. We also plan some special programs and sessions for patients and siblings during the conference, along with our enhanced parent program. We hope you and your family will be able to join us, and stay tuned for details on some ways you can help defer conference attendance expenses through fundraising efforts. The G1DF was honored to be invited to participate in the Social Security Administration’s National Disability Forum on Compassionate Allowances and Rare Diseases on November 7th. It was an opportunity to join 6 other rare disease organizations to educate the SSA about our diseases and make a case for inclusion in the Compassionate Allowances program. This program is comprised of diseases and conditions that, by definition, meet the disability definitions and can then receive a fast track through the disability determination process. You can find out more about the Forum and see the agenda, speakers, and presentation slides here. You can also find out more about the Compassionate Allowances program here. We will have follow up information to provide and will possibly be involved in more meetings as our consideration works its way through the review committees and processes. It may be several months before we hear news on the final decision, but we will keep everyone updated on this opportunity. G1DF grant recipient Dr. Abraham AlAhmad recently published a paper on the results of research he conducted on modeling brain glucose transport with patient-derived pluripotent stem cell models. The G1DF recently extended a research grant in the amount of $30,000 to Dr. Dominic D’Agostino at the University of South Florida for continued research on exogenous ketones in Glut1 Deficiency using mouse models. Plans are underway for eventual human trials. This brings our total research awards to $500,000 and it would not be possible without the support we receive from Glut1 Deficiency families and their friends. We look forward to a new grant cycle for 2018. G1DF board member and secretary, Rob Rapaport, has been busy working on our video project and has already completed 3 family stories with the 4th ready any day now. You can find these inspirational and educational videos at the link below and keep checking as more are added, including interviews with researchers and experts at our recent Nashville conference. We’re proud to use GuideStar Platinum to share our full and complete story, showcasing the progress we’re making toward our mission and the results of our work! Check out our profile here. 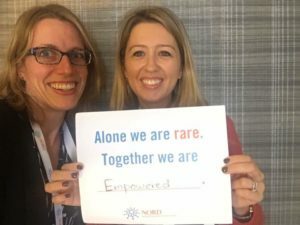 Advocacy Director Erin Meisner and Education Director Maria Rebbecchi attended the NORD (National Organization for Rare Disorders) Rare Summit on October 16-17 in Washington, DC. It was a chance for leaders from rare disease organizations to come together to talk about rare diseases and orphan products and learn from each other. They both report a wonderful experience and have brought back many good ideas for ways we can fill more needs and be more effective. We are proud to be members of NORD and add our voices to the rare disease community. John and Glenna Steele hosted our first educational exhibit at the American Neurological Association 142nd Annual Meeting in October in San Diego. The ANA is a group of neurologists focused on advancing the goals of academic neurology, training and educating neurologists, and expanding understanding of diseases of the nervous system and the ability to treat them. We had the chance to interact with the 500 attendees from all across the US and abroad. Aimee and Allison Prall and Aimee’s sister Lisa Bumgardner (left) represented the G1DF again this year at the Epilepsy Awareness Day and Expo at Disneyland. They were happy to have some help from June and Dylan Lipps as well (right). They report another great experience of meeting families, talking to professionals, and raising awareness in the epilepsy community about Glut1 Deficiency. The G1DF will host an educational exhibit at the 71st annual American Epilepsy Society meeting in December in Washington, DC. We will be part of the Epilepsy Resource Area and have the chance to interact with over 5,000 attendees. 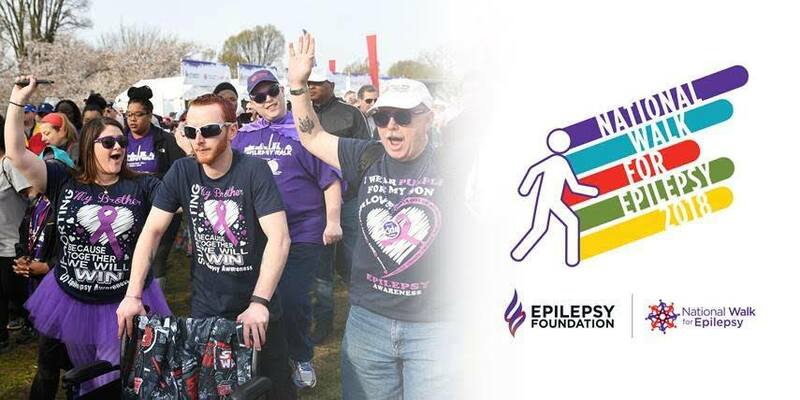 We have another great opportunity to raise awareness and educate others in the epilepsy community during the National Walk for Epilepsy in April in Washington, DC. The Foundation already has a team set up and is ready to welcome more walkers! We hope you can join us! Please visit our website to find out more. 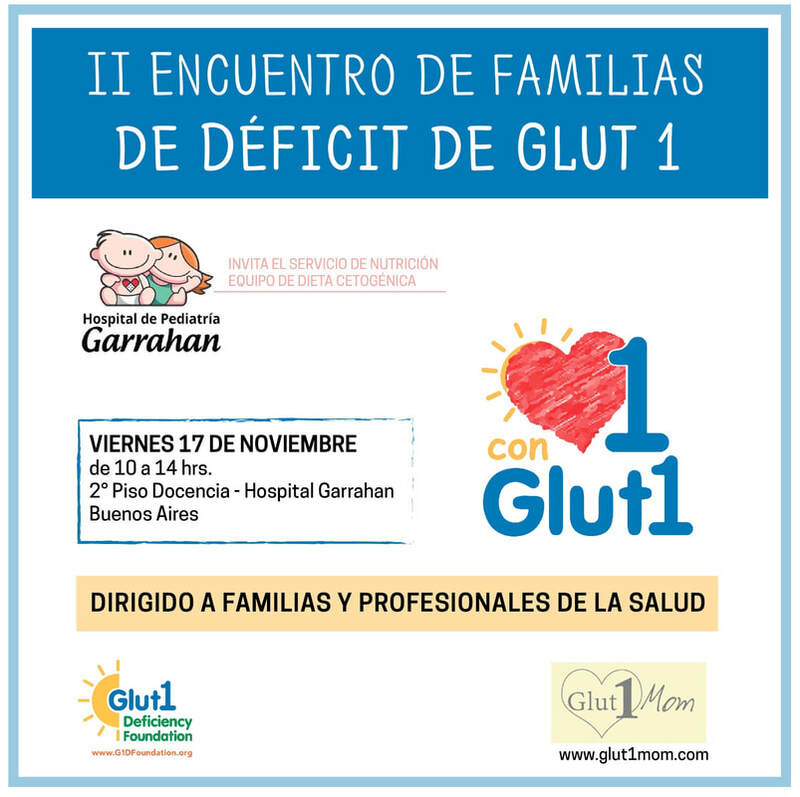 Glut1 families in Argentina will have their second gathering on November 17th at the Garrahan Hospital in Buenos Aires. We look forward to pictures and a report from Education Committee member Vivian Mathis - you can follow her on her Glut1Mom.com blog. There was a recent article in Neurology Now highlighting the importance and power of patient registries. Check out the articleand make sure your loved one is included in the G1D patient registry under Dr. Juan Pascual’s direction at UT Southwestern. The first paper has recently been published with some of the data gleaned. One of the families in our community recently provided samples to the Coriell Institute for Medical Research. It serves as a resource where scientists can obtain blood and other tissue samples from actual patients in order to have cell lines and DNA samples for research. The family reports a simple process for participating and shared the need for more samples. You can find more information on how to take part at their website. The Jones family held a very successful awareness and fundraising event for the G1DF last year when they sold t-shirts and all proceeds were donated to the Foundation. 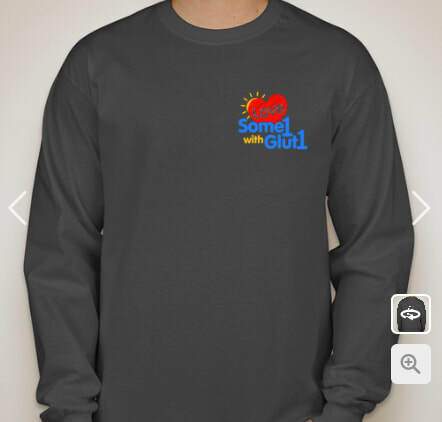 Several people shared that they missed the opportunity to order, so we decided to do it again! The timing will be good for holiday gifting, too. You can find more information and order details here. 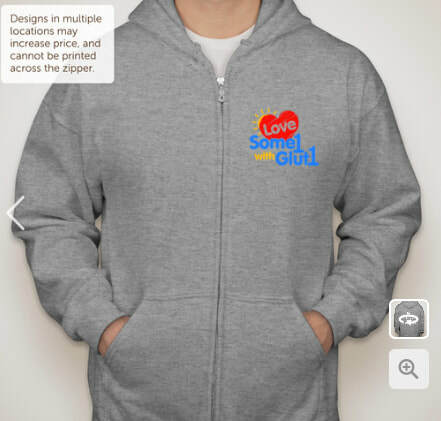 Deadline for ordering is November 17th with delivery expected the first week of December. THANK YOU! 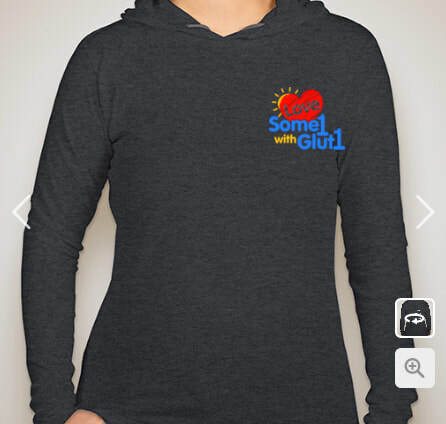 If you plan other online holiday shopping, don’t forget to use Amazon Smile and GoodShop to get portions or your purchases donated to the Glut1 Deficiency Foundation! It’s free, it’s easy, and it really works! With your help we’ve received $977 from Amazon Smile and $5,215 from GoodShop. Find out how to sign up at our website. THANK YOU! Speaking of the holidays, you may have heard of the growing popularity of the global day of giving called Giving Tuesday. It follows Thanksgiving Thursday, Black Friday, and Cyber Monday, falling on Tuesday, November 28th. We are running a special campaign for Giving Tuesday this year, and you can find more information about donating and how funds are used here. It is also a good time to plan end of year giving. We appreciate each and every donation no matter when it is given, however, and each dollar helps us in our mission of increased awareness, improved education, advocacy for patients and families, and support and funding for research. 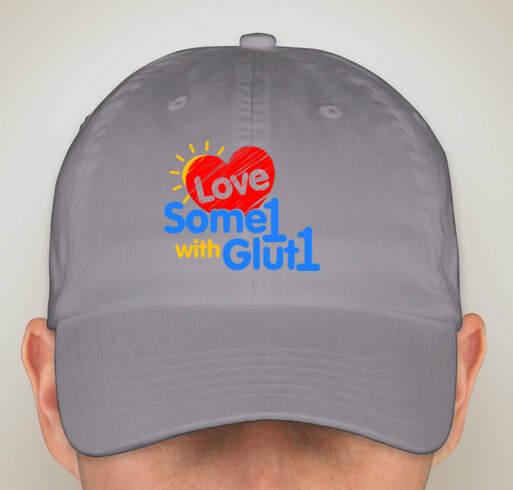 Your giving allows us to give help and hope to everyone in the Glut1 Deficiency community. THANK YOU! You may notice a change in our fundraising platform when you donate online next time. We have transitioned to a new program designed for nonprofits called Flipcause, hoping to streamline and improve our process and be more cost effective as well. We are hoping it provides a good experience on your end as a donor, too! PayPal and checks continue to be additional donation options. Each and every donation is impactful and appreciated! In the coming weeks, we will be transitioning to a new website platform in an effort to modernize and simplify this important resource. We hope it will provide a more user friendly experience on both ends - the people putting in the information and the people reading it! We appreciate your patience with any hiccups along the way and will make sure to let everyone know when the transition takes place. We are also doing some clean up of our mailing list and using a new service (MailChimp) to send out announcements. We hope to have everything neat and tidy in the near future so that we can start on an anonymous map of locations of families across the world. We think this will be a great resource and help us better connect families who are looking for that all-important support and information from others who understand the journey. If you are reading this and not on the mailing list, please consider joining so you can be included. With the updates on the website, we also hope to update the wonderful patient stories we have. It has been a few years for some of them, so we hope to get families to update their stories and we also encourage others to add to the collection. These stories are a wealth of information and inspiration, and we have heard from several people that these stories helped them get a diagnosis for their children. You can find them on our website along with information on how to submit your story. Thank you! The Education Committee adapted a movement episode chart provided by the Breen family and we have it available as a resource on our website. You can find a Word version here, which can be customized as needed. It is suitable for home or school use. 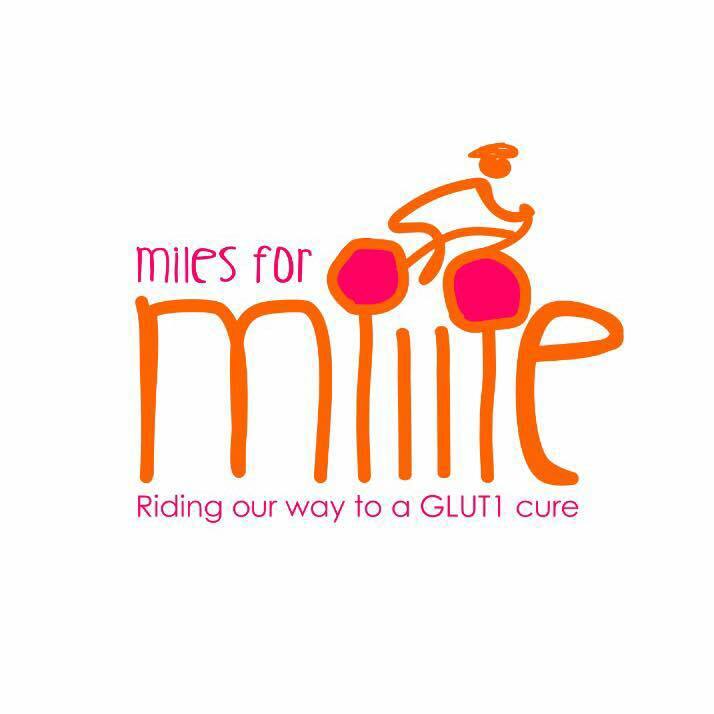 The Meisner family has also been working hard on raising awareness and funds for research through their Miles for Millieteam in the Million Dollar Bike Ride. The amount they raised was matched and a grant for $48,918 will be awarded in January once the grant process at Penn Medicine Orphan Disease Center is completed. Thank you Meisners for your hard work on behalf of all patients in the G1D community. The York family held their annual Help Some1 with Glut1 on October 14th in Oktaha, Oklahoma. As always, they and their community poured their hearts into making this such a great success. 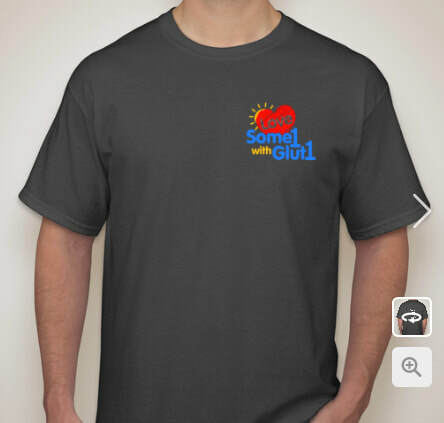 Shirts were ordered by G1D families from all over the world as they participated virtually in the event - and the Snelus family joined them in person from Texas. 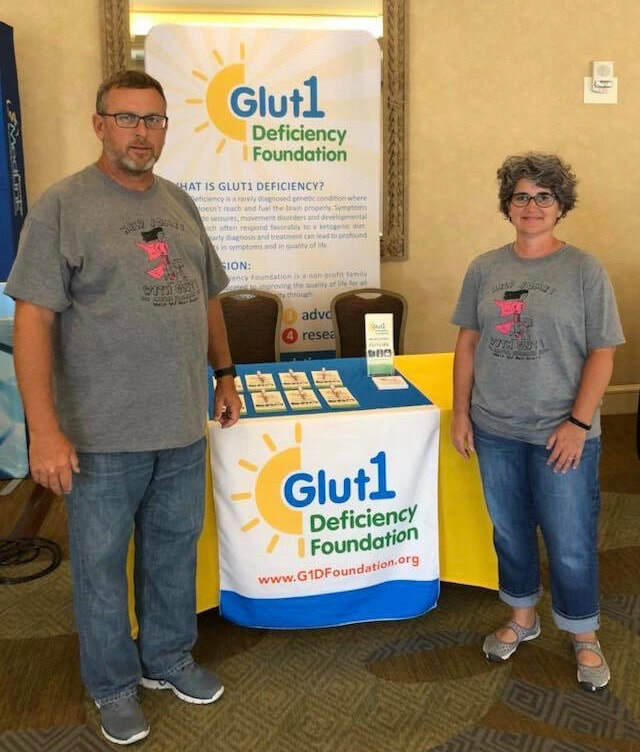 Along with the huge amount of awareness they continue to raise, they were able to donate $7,487.20 to the Glut1 Deficiency Foundation with proceeds from the event. Thank you York family! 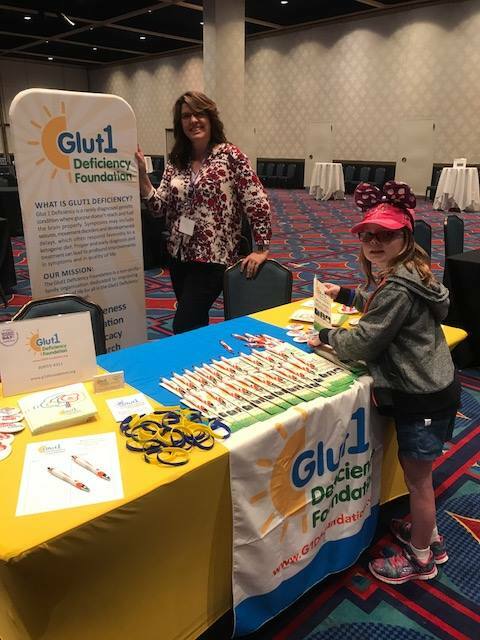 The Treland-Neumann family hosted another very successful event to beneift the Glut1 Deficiency Foundation. They donated $2,000 in proceeds from bingo at their family resort, Pat's Landing, in Hayward, Wisconsin. We appreciate all the ways the Treland-Neumann family, their community, and their customers support the work of the G1DF. 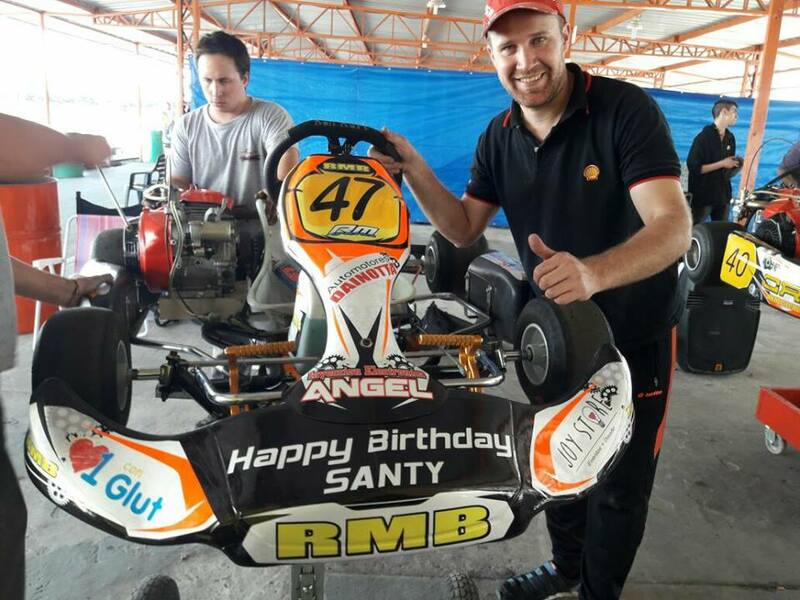 Matias Valente is raising awareness and showing his love for Some1 with Glut1 on his racing cart! He did this in honor of his nephew, Santy, who lives in Argentina and is active with the family group there. Thank you Matias! The Miami Valley Victory Riders in New Carlisle, Ohio honored Glut1 Deficiency patient Landon Chinault with proceeds from their many special events. 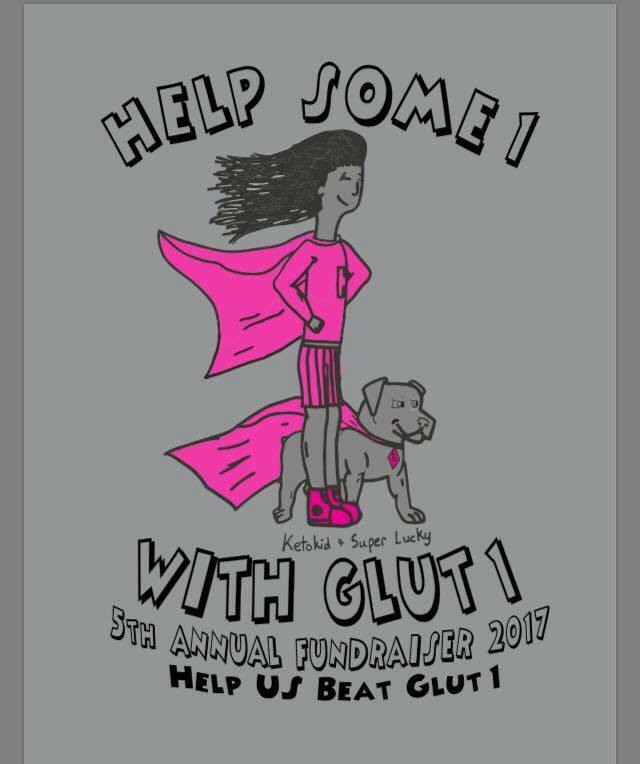 We appreciate so much the awareness raised and the donation made to the Glut1 Deficiency Foundation in Landon’s name - $1,607 total! Thank you MVVR and the Chinault family! Please be watching for more information after the first of the year on our annual Love Some1 with Glut1 campaign. This is the signature and main fundraiser for the G1DF and helps fund all of our mission work. 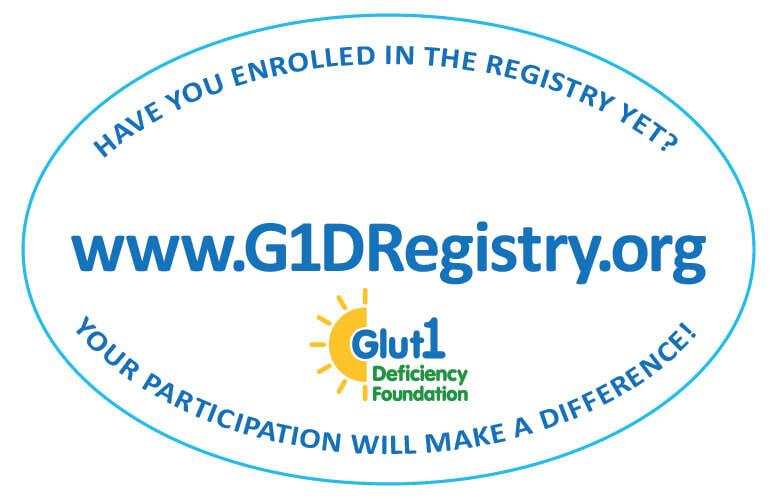 We hope you will sign up to help us continue to bring help and hope and to make a difference for everyone in the Glut1 Deficiency community. THANK YOU!